Edinburgh is a top ten European location for science and technology and has a strong reputation in terms of innovation and knowledge-intensive industries. The Foundation is committed to supporting NHS Lothian and other partners stay at the forefront of the region’s rich knowledge economy. For those preterm babies who require breathing support, the current standard treatment is Continuous Positive Airways Pressure, or CPAP for short. High flow therapy is a relatively new alternative method which is equally as effective, but more importantly is better tolerated by babies and preferred by parents. 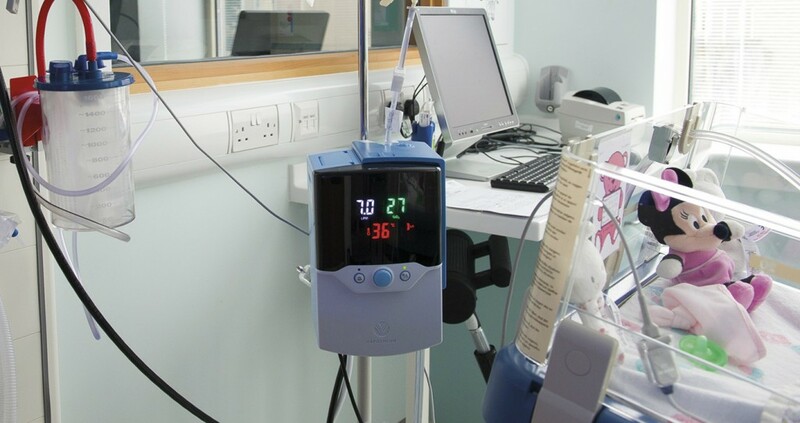 The Health Foundation funded the purchase of two Vapotherm Precision Flow Units to the Special Care Baby Unit at St John’s Hospital.